Continuing with my mission to make everything from scratch I knew Peanut Butter would have to make an appearance pretty soon. Organic Peanut butter without any nasties is expensive and I wanted to have complete control over my own ingredients. I am going to be bringing you as many homemade smoothie ingredients as I can in the near future, so let me know if there is a homemade ingredient that can be used in smoothies that you would like the recipe for. This homemade peanut butter just happens to be the most gorgeous peanut butter I’ve ever tasted too. I have tried this recipe 2 different ways, one with a very cheap food processor and again with my high powered blender (Vitamix). It works really well both ways but the vitamix is faster as it only takes 1 minute and you can’t get better than that for something you make yourself. I bought myself a big batch of organic peanuts for this recipe which will see me through many batches of peanut butter. I like buying in bulk to save money but also get better quality. To make this recipe you roast your peanuts in the oven, leave them to cool then add the rest of the ingredients and either process in the food processor or blend in the vitamix. The food processor method is a bit easier although it takes longer. If I can do it with a cheap food processor I’m sure it’s possible for anyone. There is a bit of a knack involved with using the vitamix. I had tried and failed several times to make peanut butter in my vitamix. The instructions I’d followed said to turn my machine to high quickly and use the tamper to press the peanuts down for 1 minute and then stop. When I first tried this my machine made such a loud noise I was scared I’d burn out the motor so I didn’t have the guts to continue with the machine on high. I tried to blend the peanuts with the machine on low and ended up burning out my motor anyway. It did start working again thankfully but I didn’t want to risk that happening again. A few weeks later I was determined to try again and this time I turned the machine very quickly up to high and pushed the peanuts down quickly and managed to stand the noise for a minute. After that time I had peanut butter. Yay! It is very easy to do but you’ve just got to have confidence in your machine. If you haven’t had a look at my new blog yet, check out my latest post where I share a list of all the health experiments I’d like to carry out on myself in my quest for a healthier life. I’d love to hear if you are doing any of your own health experiments and what’s been working for you so far. Have you ever made your own peanut butter? Did you find it easy? Learn how to make Peanut Butter easily using either a food processor or a high speed blender. This peanut butter is gorgeous and couldn’t be easier. Rinse the peanuts and toss with the 2 Tablespoons of Oil and the salt. Roast for 30-35 minutes rotating the pans half way through. If you are using the food processor, add the peanuts, the other 2 T of Oil and the sweetener to the food processor. Process until the peanut butter is as smooth as you want it. You will have to stop and scrape down the sides every so often. 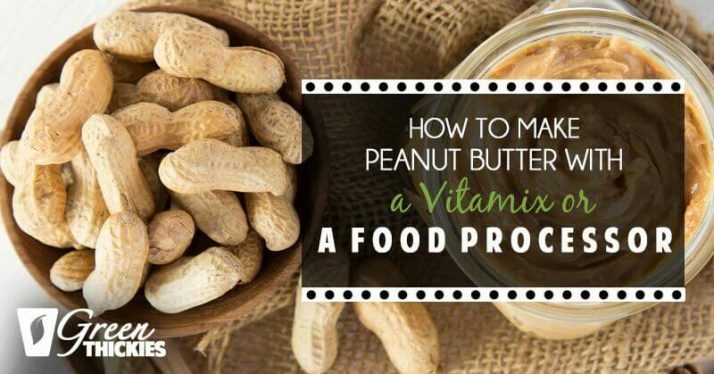 If you are using the vitamix, add the peanuts, the other 2 T of Oil and the sweetener to the blender. Get your tamper ready in position. Turn the machine on and quickly up to high and start immediately pushing the peanuts down with the tamper until you’ve got peanut butter. Don’t leave your machine running any longer than 1 minute or you risk burning out your motor. Similarly this won’t work unless your machine is on high and you risk burning out your motor. 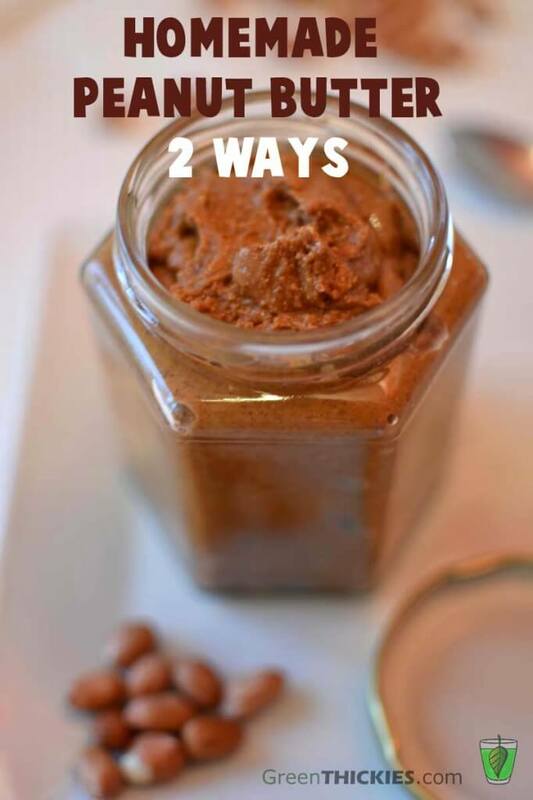 Transfer Peanut Butter to a Jar. This will keep for 2 months in the fridge. I love to make my own peanut and almond butter using the Vitamix. Whenever it doesn’t turn out right, I soon realize that I forgot the very important step of roasting the nuts! Another trick I learned from talking with the Vitamix guy at my local Costco, is that if you use the “dry” container it actually works better because it’s blade is faster. You make almond flour in the wet container, and butters in the dry. Hi Alison, yes I’d read that it’s important to roast the nuts first to make it easier to blend too. It still scares me making peanut butter as I feel like my machine is going to blow up but it’s worth it as it’s so quick. That’s interesting that you can use the wet container for flour too. I want to invest in a wet and dry but going to have to save up first. I’ve just started grinding my own flour with the standard container but I’ve heard that if you’re going to do this regularly you should buy the dry container. I’ve never tried making my own peanut butter before, but now I want to try! I have a cheap food processor so it’s good to know I don’t need a Vitamix (although I desperately wish I had one!). I bet roasting the peanuts beforehand makes it taste so much better! I have a cheap food processor too and it worked fine in that. I don’t know how I managed without my vitamix. It took me a long time to save up for it but it’s worth every penny! I don’t think the recipe works if you don’t roast the peanuts but it does taste lovely and fresh! We just love homemade Peanut Butter, this is awesome! Hope you are having a great Valentine weekend and thank you so much for sharing with Full Plate Thursday. Me too, it’s got so much more flavour! Nothing better than homemade PB ;) Got this tweeted and pinned! Thanks for linking up at Gluten Free Fridays! I love what you said in the post of controlling what you put in your foods. I just got a vitamix a couple of months ago and have been itching to make some homemade nut butters. Thanks for the tips! It’s very exciting getting a new vitamix as there is so much you can make in them. I use mine several times a day and wouldn’t be without it. Wow thanks Lisa. I had no idea you could roast nuts and coconut in the microwave. That’s great to know, especially if you urgently needed some peanut butter and had run out. You’d get this made in minutes! Many thanks for the great tip! 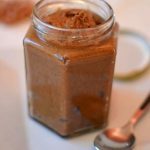 I like this website, and how you sharing about, especially on this article, definitely you wanted to let people that you need to use a good blender to be able to make the creamy peanut butter. that’s why you put Vitamix.